Can’t find the perfect home? Have you thought about building your own? Hearty thanks to Josh for answering the basic questions about his project, and building your own custom home! And financing is available! P.S. I use the term ‘stinking’ with great affection. Buying a tract house is by far the best solution for the vast majority of busy, hard-working Americans! Architects are taking rammed-earth home design far beyond the dirt-plain adobe look—creating walls that are almost sculptural in their complexity and scale. Ms. Low estimates that they spent close to $2 million on the 1997 compound—designed by architect Eddie Jones and rammed-earth builder Quentin Branch. She recently put the house on the market, but then took it off—after turning down an offer that was more than double the cost to build, she said. “I just decided I’m not selling—I love this house too much,” she said. For anyone wanting to know if the U.S. housing market is turning into a new, speculative bubble, a good and overlooked way to tell is the price of land. A real estate professor at the University of Wisconsin has done just that—and concluded that there is no evidence of a bubble on a national level. Not yet, anyway. “Housing might be undervalued today,” says Morris Davis, a professor in the Department of Real Estate and Urban Land Economics at the Wisconsin School of Business in Madison.Wisc. 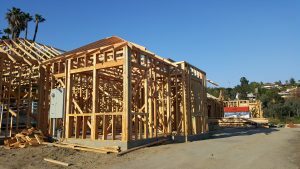 Twice a year, Davis looks at prices that houses are selling for and then strips out the cost of the structures, leaving the value of the land they are built on as “residual.” Land prices fluctuate much more than overall sales prices because the cost of structures doesn’t change much from year to year. “Land is telling you what’s going on with demand,” Davis says. Phoenix is one metro area whose prices have rebounded sharply, and bidding wars are back in the headlines. Phoenix doesn’t look so scary by Davis’s metric. Land’s share of house value was 65 percent in 2006 and then plummeted to 5 percent in 2011. It has climbed steeply since, but it was still just 26 percent in the first quarter of 2013, according to Davis’s calculations. He won’t have his figures for the third quarter of 2013 until next February or so. A complete set of data for 46 metro areas and all 50 states is posted on the website of the Lincoln Institute of Land Policy, which helps cover the cost of updating the data. John Burns Real Estate Consulting of Irvine, Calif., sees rapid increases in land prices in many markets. It tracks empty lots in subdivisions that are ready for building. Its Finished Lot Value Index, an average for 27 markets, fell 46 percent from its peak to its 2009 low but has rising briskly since and needs only a 22 percent further increase to match its all-time high. Bakersfield, Calif., and Phoenix lots are up roughly 200 percent from their troughs, the firm says. At the other extreme, prepared lots in Chicago are up only 7 percent from their bottom. Will Frank, a senior finance manager at John Burns Real Estate Consulting, said today that by John Burns’ measure, Phoenix is starting to look a little pricey, along with Dallas and Orlando. The land in those metro areas isn’t a bubble, but prices should start to “plateau” in the next year or so, Frank says. “We still have Las Vegas going up a while,’ he says. If you’re counting on home prices to rise, then—consciously or not—you’re betting on land. A brief tour through the end of Del Mar Mesa Rd., where 13 lots are selling next to the future Alta Del Mar. The ADM semi-custom tract home prices will range from $1.5 to $2.4 million, and their estate lots will range from $700,000 to $2 million. My new listing in Vista! An active, income-producing ranch now, bringing in around $100,000 per year, with huge potential. Subdivide the lower half into 19 homesites (developers are offering to pay $5 million over time to do it for you), harvest the 10,000 palm trees that are worth approximately $1,000,000 wholesale, and then keep the upper portion of 19+ acres for yourself. The sellers want to cash out now, for tax reasons. For anyone who is thinking about participating in an auction, take a close look at this video. Notice how fast the bid amounts rise, plus – how clear are you about the price? The remains of the former Barratt American tract in Carlsbad has closed escrow. Bank of America had foreclosed on their $7,812,000 mortgage in December, 2008, and they put the whole package of six houses and five lots on the market in May, 2009. Click here for our first and second youtube tours from last year. Although the salespeople said in May that the bank was adamant about a quick close, it took until now to wrap things up.